Item Number: 266-6-75 18935 Actual Weight: 1 lb. Helps prevent infections. 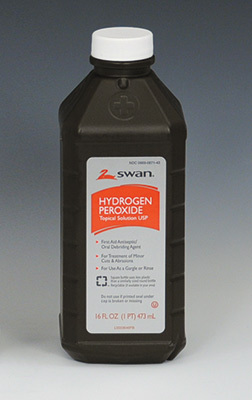 Hydrogen peroxide is used as a first aid antiseptic to clean minor cuts, scratches, and abrasions.